If you want to adjust the seasoning ratios then by all means do so! This is especially important if you use less/more potatoes than in the recipe. Don’t add all the spices in one go. Add half of everything and add more if you think the taste isn’t right yet. I like the strong flavours so it isn’t a problem for me. These spices are the ones you are more likely to have at home than garlic powder, or onion powder. If you’ve got those, you may like to test those out too. 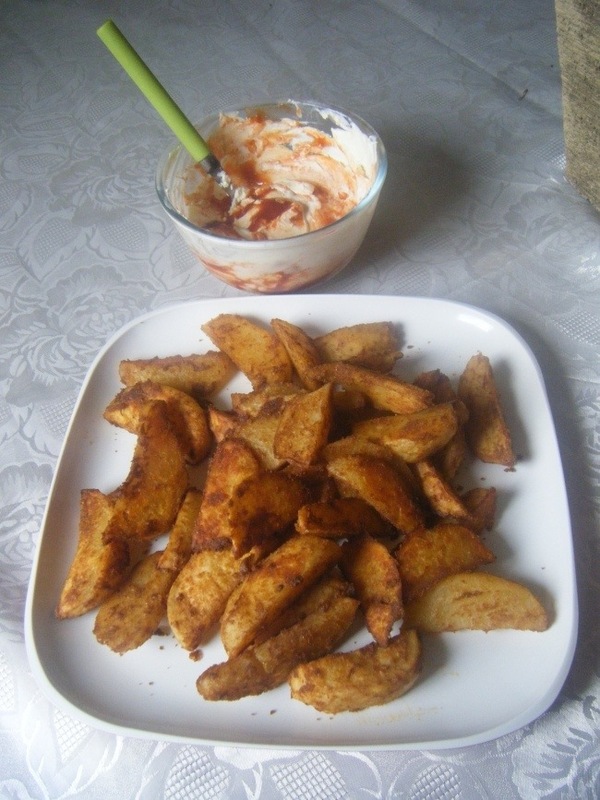 Peel and cut each potato into 6 wedges. Clean the wedges with a light rinse of water. Do not soak the pieces too much or the spices won’t adhere efficiently. Add them all to the bowl and toss to coat with spices. Coat all pieces of potato with the seasoning mixture. How many times have I said this now… Like three? Arrange on oven tray on top of baking paper or foil. Bake for 40 – 50 minutes to get the outside nice and crisp but not overly crunchy. The inner potato flesh will be cooked through properly that way. It will look better cooked too. Turning off the oven and leaving the door closed for another 7 minutes usually helps the wedges to crisp up a bit more, so if you can wait a bit longer, I’d recommend it. If changing ingredient ratios don’t forget about the oil. Less potatoes = less oil. More potatoes = more oil. Don’t add all the oil straight away, wait and adjust to your preference if necessary. You can use whatever oil you like but it is better to go for one that is not so fragrant; choose olive, sunflower, vegetable or canola oil over sesame, mustard or peanut oil. 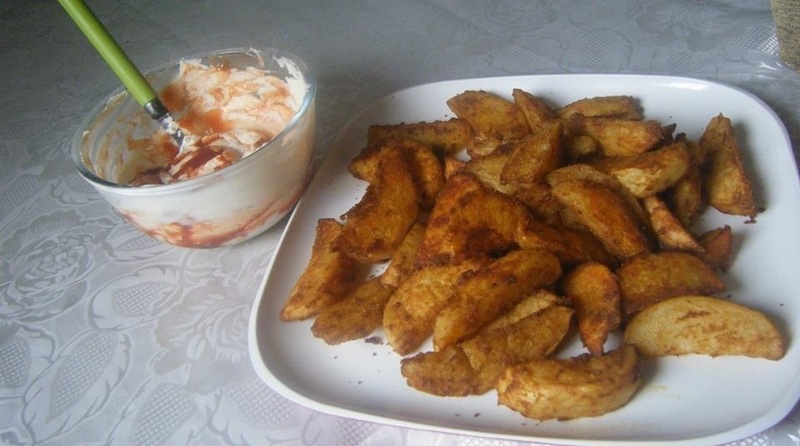 Arranging the wedges in a single layer on the oven tray is usually best but don’t worry if there isn’t enough space. If they touch or overlap it isn’t a problem. You can turn pieces over while it’s baking. A single layer is best so steam can escape from each piece to help it get crunchy and yummy. Next Post Applesauce spiced cake. Revolutionary. Almost makes the fact I had to wait MONTHS for this post bearable.